If you lead a particularly busy life, you've probably considered taking advantage of a popular grocery delivery service like Amazon Prime Now or Shipt on at least one occasion. If so, you wouldn't be alone. The small delivery fees these services usually charge are often worth it due to the sheer convenience they offer, allowing customer to avoid the lengthy checkout lines and crowded aisles typically associated with traditional grocery shopping. With this in mind, it's not hard to see why major brick and mortar retailers have been getting in on the action. In 2016, Walmart began rolling out their own delivery service in partnership with Uber and Lyft. Last month, the company announced their intentions to expand that service to additional markets, planning to reach over 40 percent of US households by the end of 2018. Now, it seems those plans are coming to a head. In a press release today, Walmart announced their new partnership with product delivery service Postmates. 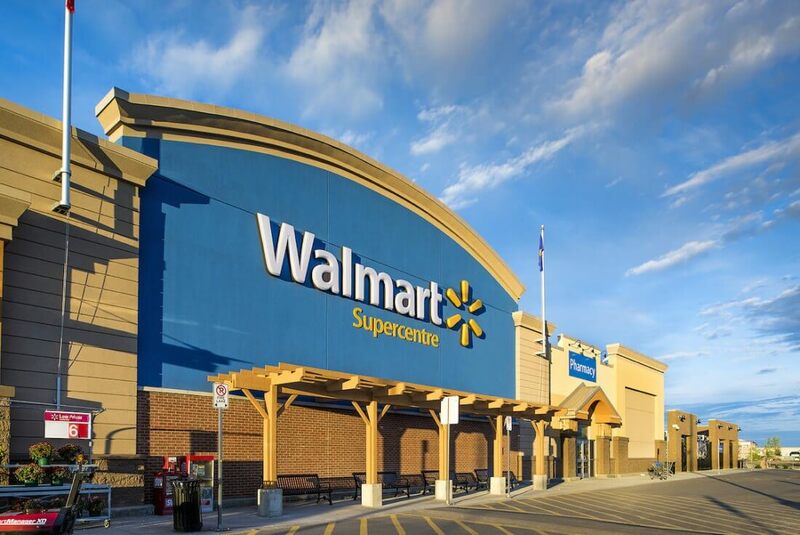 "Customers are busy, they are managing jobs, soccer practice, dance lessons and social schedules; so we are on a mission to do more than keep a little extra money in their pockets," said Mark Ibbotson, Walmart US' executive VP of Central Operations. "With the help of Postmates, we’re making grocery shopping even easier by bringing the everyday low prices of Walmart right to the front door of customers..."
This service expansion will begin in Charlotte, North Carolina, though Walmart and Postmates plan to bring grocery delivery to "more areas" in the near future. "With our growing fleet of 160,000 couriers, we are confident that we’ll be providing Walmart customers with the ultimate convenience," said Postmates' Dan Mosher. If you live in one of the areas Walmart currently services with their grocery delivery program, taking advantage of it is pretty simple. All orders will carry a flat-rate, $9.95 delivery fee and you must purchase at least $30 worth of products in a given order. The service works a lot like Amazon's Prime Now - you'll able to select a delivery window at checkout. Walmart says groceries can deliver "as soon as the same day" if you place your order early enough.